Editor’s note: InvestorPlace’s Earnings Reports to Watch is updated weekly. Please check back next week for our latest earnings picks. The earnings calendar kicks into gear starting next week. And the coming round of earnings reports seems to suggests a big test for the U.S. equity market. Broad markets are near all-time highs: the S&P 500, for instance, needs to rise just another 2 percentage points to set a new record. The pessimism that dominated fourth-quarter trading seems to have fully reversed. And yet external fears remain. Domestic GDP growth appears to have slowed. Economies outside the U.S. are mixed, including what looks like a slowdown in China. And in the first quarter, U.S. companies will lack the boost from tax reform that helped earnings in 2018. The question at the moment isn’t necessarily whether the U.S. economy is strong. It’s whether it is strong enough to fight through external headwinds — and push U.S. stocks higher. The earnings calendar next week should give some clues as to whether that its the case — particularly with earnings reports from major companies in key industries. A consumer leader will highlight demand in food and beverage. A high-flying tech leader may show the market’s appetite for risk. And healthcare investors will be looking for good news from one of the sector’s giants. There’s will be much to digest from the numbers and much to watch in the response from the market. 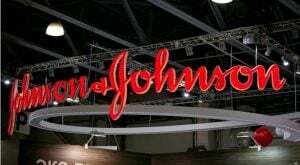 Johnson & Johnson (NYSE:JNJ) needs a good report on Tuesday morning. A December report from Reuters has raised fears about the company’s liability for allegedly knowingly including asbestos in its talcum powder. JNJ stock fell sharply on that report. Its role in the nationwide opioid crisis is being investigated as well. The consumer business hasn’t shown much growth of late, and the pharmaceutical business has been hit-or-miss. A strong quarter could change the narrative — and jumpstart a rally in JNJ stock. It won’t take much. Consensus estimates call for flat earnings year-over-year. If J&J can clear that bar, investors perhaps start pricing in more growth in the future — and JNJ stock could get a nice bump. A miss, though, might raise questions about whether J&J is growing at all — and allow legal worries to send JNJ back toward December lows. Netflix (NASDAQ:NFLX) has been one of the biggest beneficiaries of the market’s strength of late — as I predicted it might be in December. With investor appetite for risk rising, NFLX has done the same, bouncing 59% from December lows. That sets up an intriguing Q1 report on Tuesday afternoon. Subscriber numbers will be closely watched — for good reason, as they underpin the entire Netflix story. But the reaction to the report is worth monitoring as well. NFLX is only a few percentage points away from analyst price targets. Does even a blowout quarter lead those targets higher? Or will investor keep a close eye on valuation and the company’s negative free cash flow? It will be worth comparing the reaction to NFLX against the reaction to IBM (NYSE:IBM), who also reports Tuesday afternoon. The two stocks couldn’t be more different: one a high-flying growth play, the other in the midst of a difficult turnaround. How investors trade both stocks after earnings reports next week could signal whether the market is still focused on growth — or starting to look for value. Investors should get a solid look at the health of the U.S. consumer next week. J&J reports, as does food and beverage leader Pepsi (NASDAQ:PEP). With Bank of America (NYSE:BAC) wrapping up big bank earnings on Tuesday, investors should have a nice read on consumer demand ahead of more reports in the second half of the month. For Pepsi, in particular, however, the Q1 report looks potentially tricky. Investors have bid up PEP stock in recent weeks to all-time highs. Rival Coca-Cola (NYSE:KO) fell sharply after its Q4 report in February, and soda demand still seems to be falling. The Frito-Lay snack business has its own challenges as well. So a miss from Pepsi doesn’t necessarily mean U.S. consumers are pulling back. There are other factors at play. But with several key consumer plays reporting this week, Pepsi could contribute to the overall narrative next week. 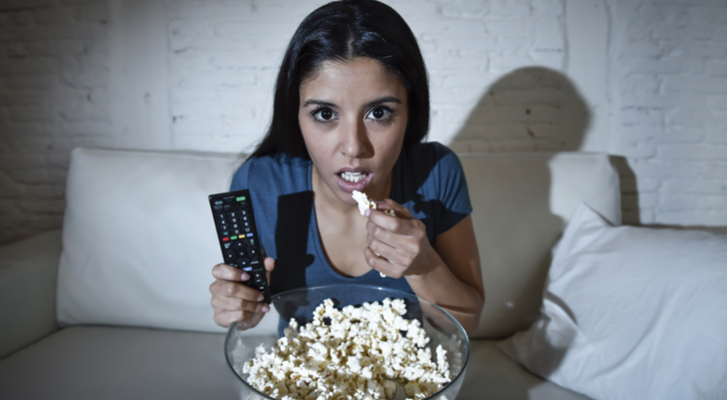 Article printed from InvestorPlace Media, https://investorplace.com/2019/04/earnings-reports-to-watch-next-week-earnings-calendar/.